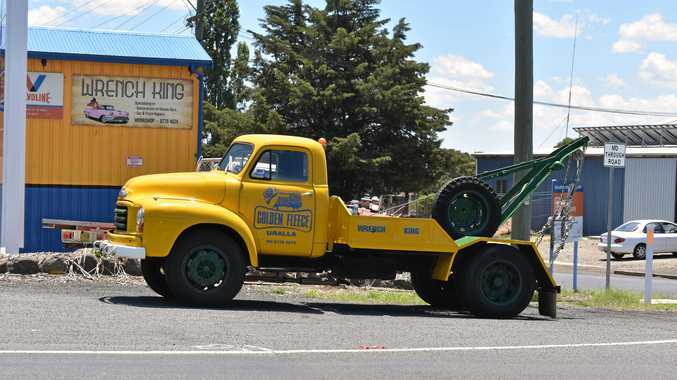 AN OLD but flashy yellow Bedford, which is parked outside a business at Uralla in New South Wales, is often the centre of attention. It is outside the Wrench King workshop business and when I passed through Uralla several people had stopped to snap a photo. I did some investigating and discovered the Bedford had been a tow truck in Queensland before making its permanent home south of the border. A scenic town with a population of about 2500, Uralla is located on the Northern Tablelands about 465km north of Sydney and 23km southwest of Armidale. Often travellers will walk into the Wrench King workshop and ask about the history of the Bedford. Many trucks pass through Uralla most days.